Another thing we didn't get here. 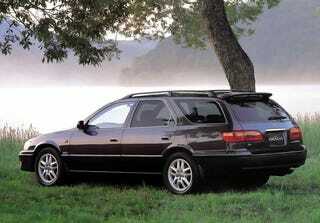 XV20 Camry wagon, known as the Toyota Gracia. Handsome station wagon. Much better looking than the XV10 wagon.